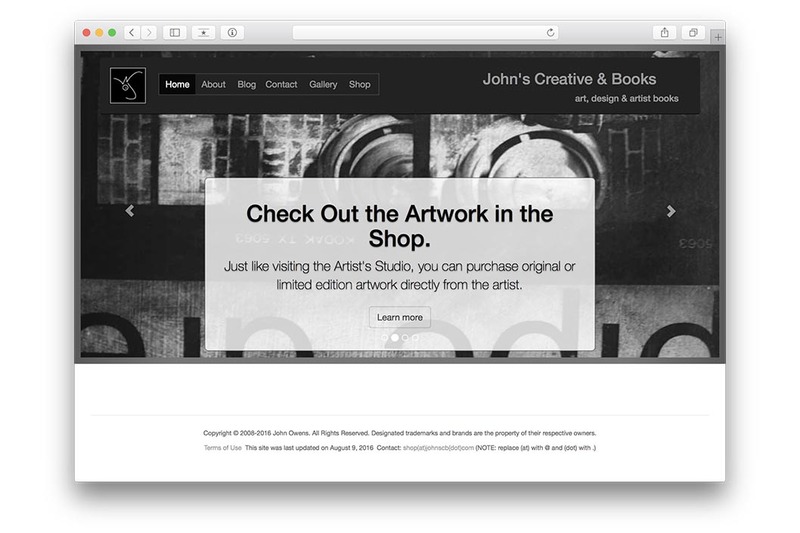 A site advertising/promoting the sale of John's personal artwork and books. 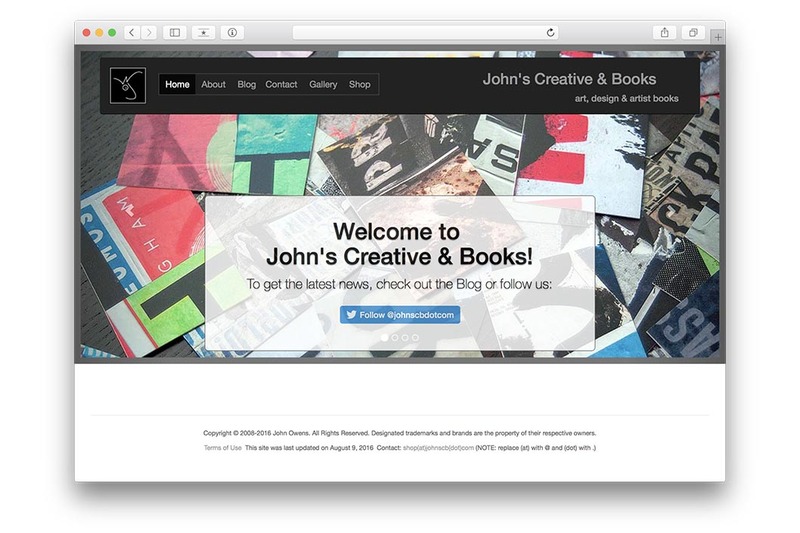 This site utilized the open source Bootstrap 3 framework. 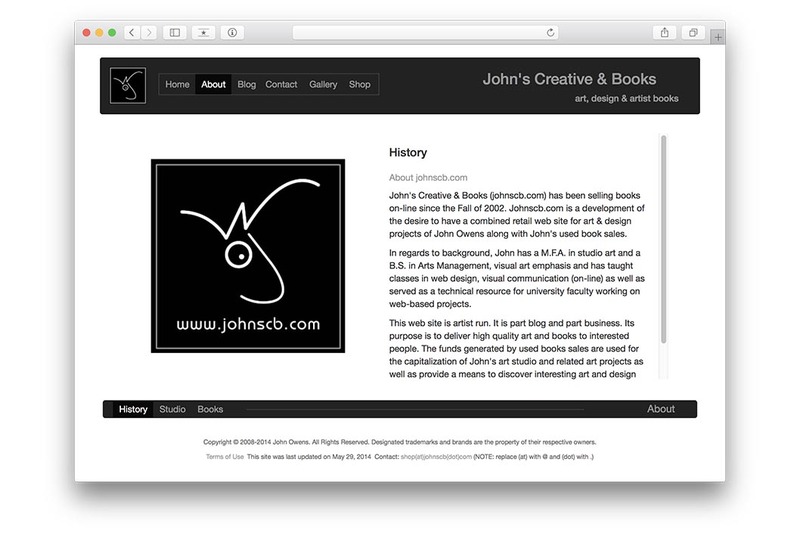 The site design was adapted from an earlier Adobe Flash based design. 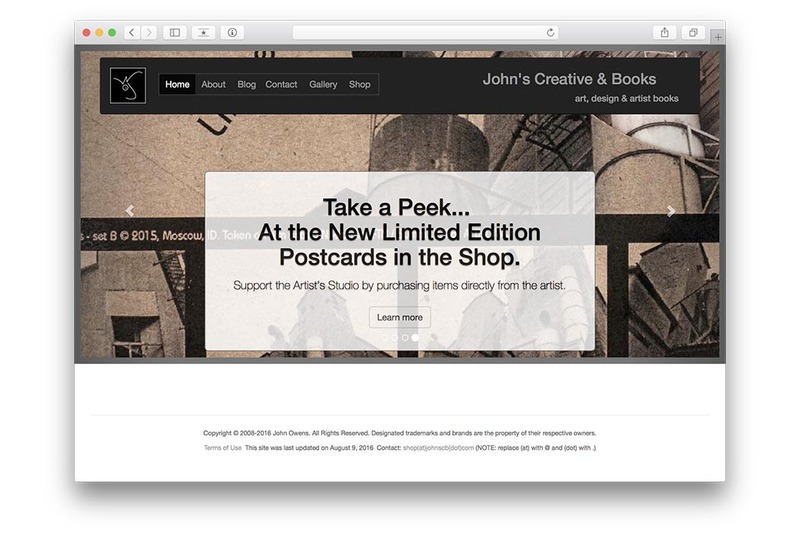 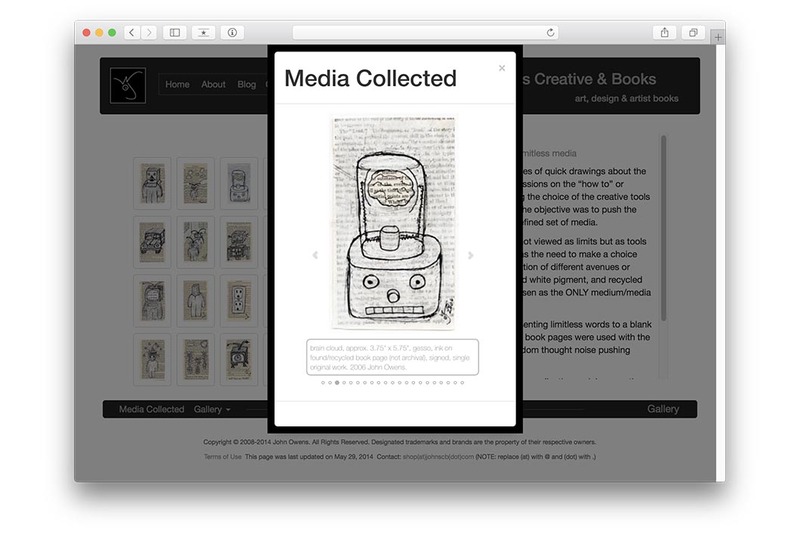 The page designs from the old site served as the storyboard for this site. 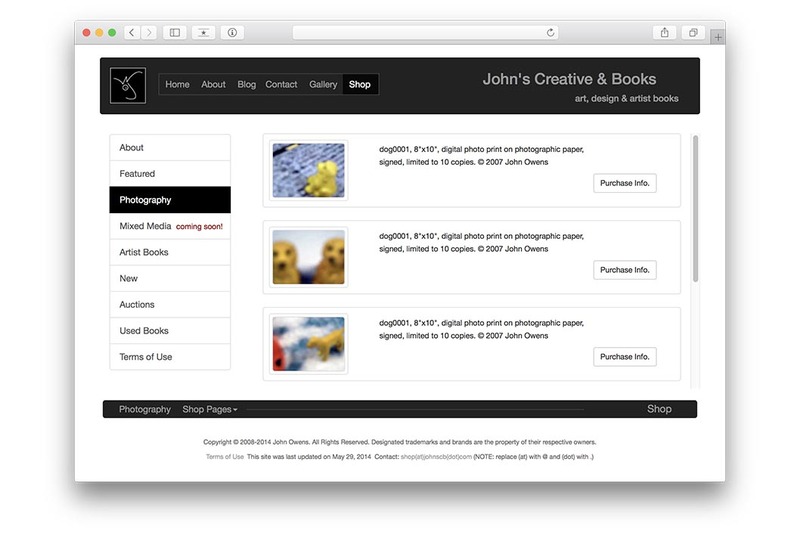 Many of the pages layouts were retained and the Flash SWF files were re-coded by hand use the Bootstrap 3 component library. 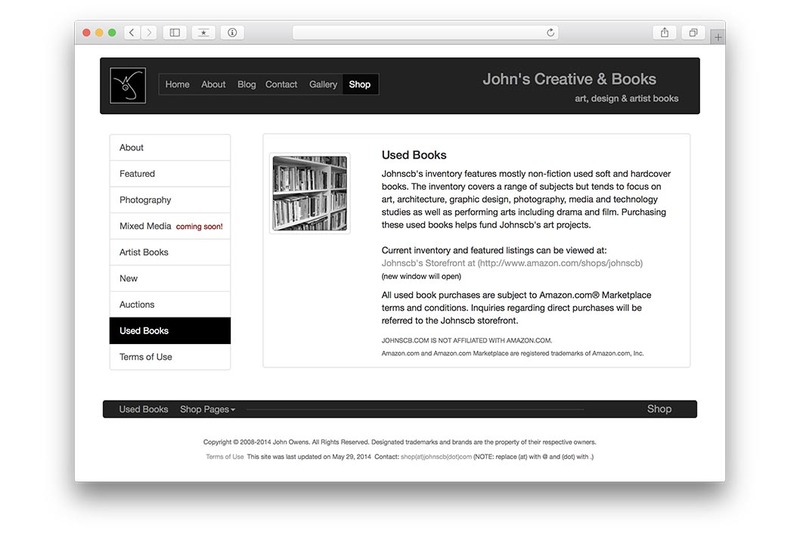 This was done to insure a fully responsive design, minimize maintenance, and allow for iPad deployment. 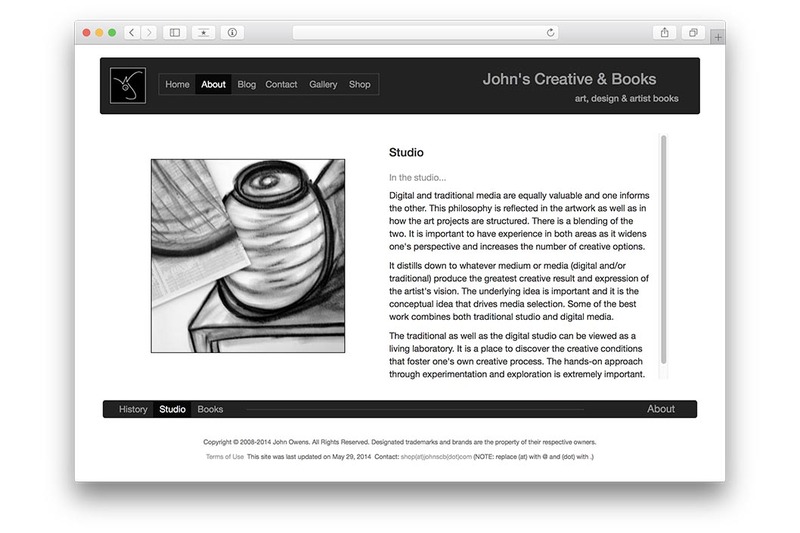 The old site structure consisted of sections and content elements loading (using LoadVars and MovieClipLoader Classes) from external text files and images as variables into an Adobe Flash 8 based shell. 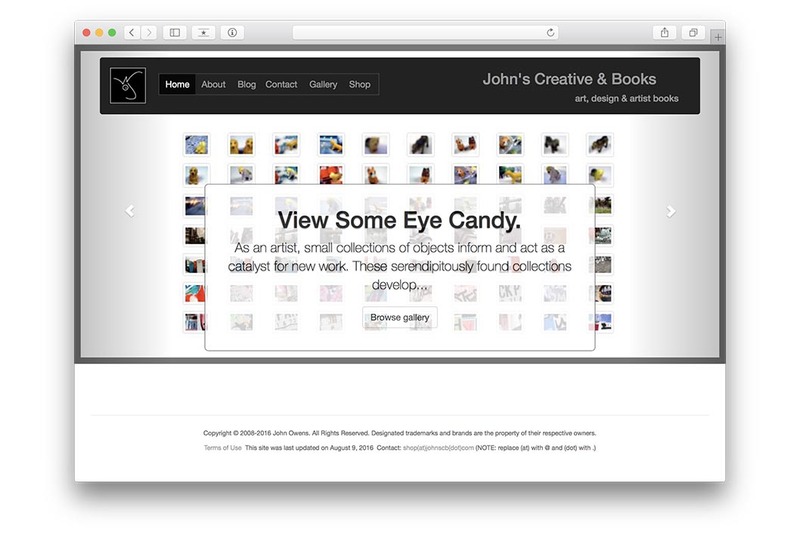 The common design elements were contained in an SWF shared library. 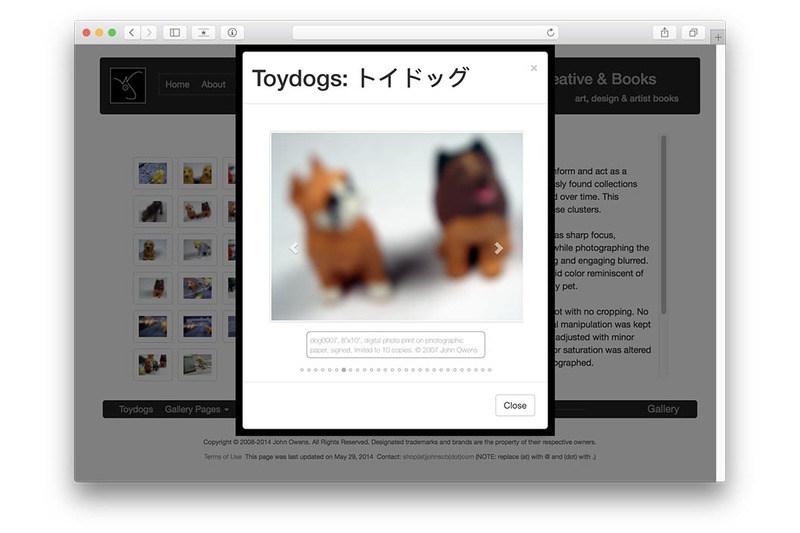 Bootstrap 3 preserved the desired site interactivity while eliminating all Flash based sections and elements. 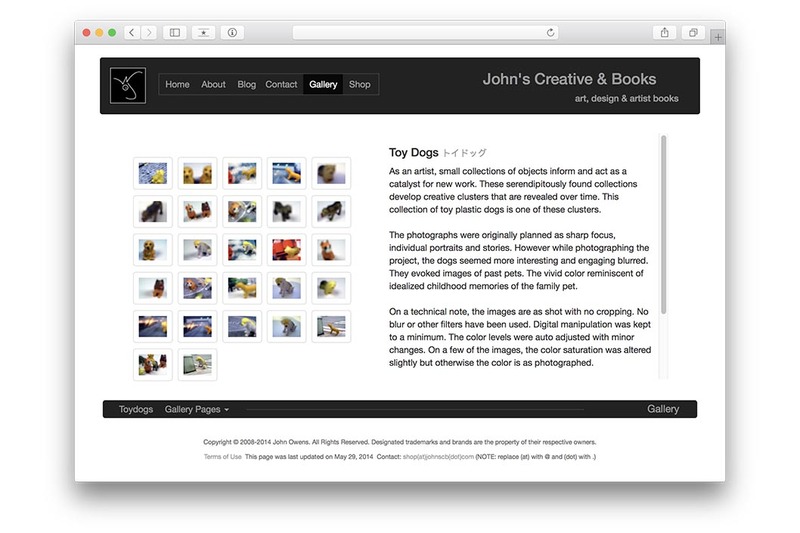 While some of the pages (splash, store and blog) are based on the Bootstrap example templates, others were hand-coded using the Bootstrap's component library. 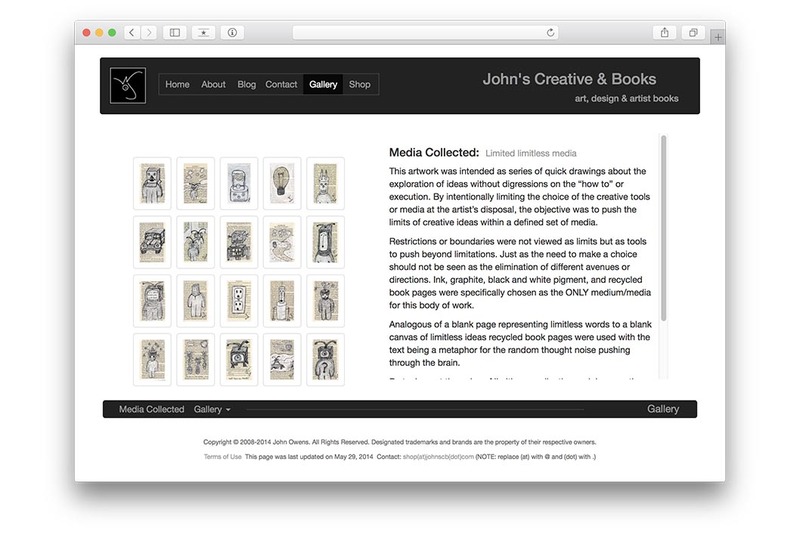 The old Flash SWF based pages were re-coded by John using the old site as the storyboard for the new site.